Featuring seven unique event spaces, plus two outdoor terraces, Le Mount Stephen offers the perfect setting for your special occasion. 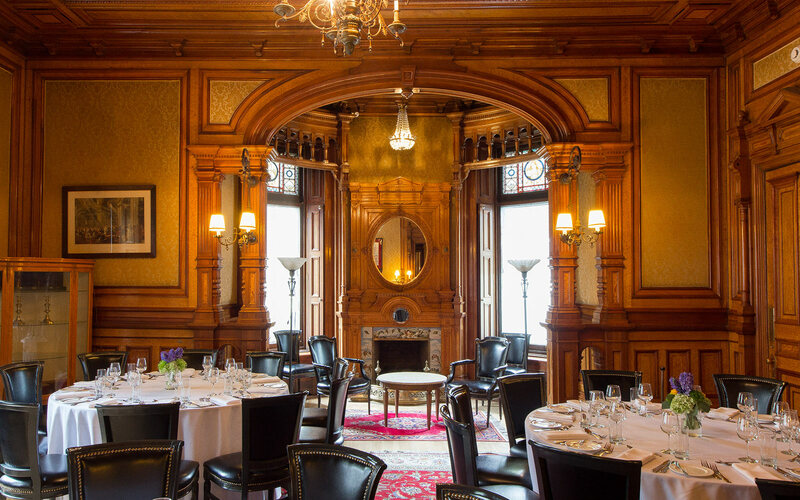 Our meeting and event venues in Montreal, Québec are strewn throughout our carefully restored mansion and brand-new hotel tower in downtown Montreal. 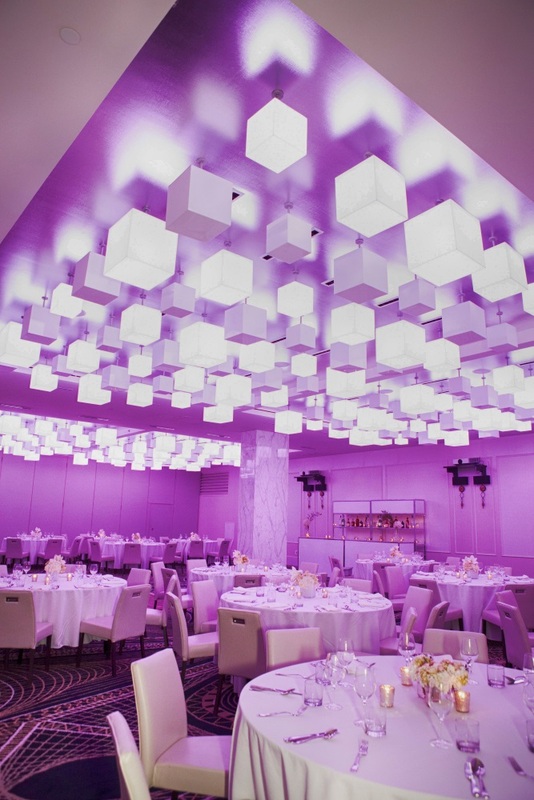 Let our event experts help you decide which room is right for your special occasion. Mansion, First Floor | 124 sq. ft. This 13’ x 9.5’ room features 15.5’ high ceilings and can host four guests for a meeting, private dinner or other intimate get-together. Mansion, First Floor | 244 sq. ft. 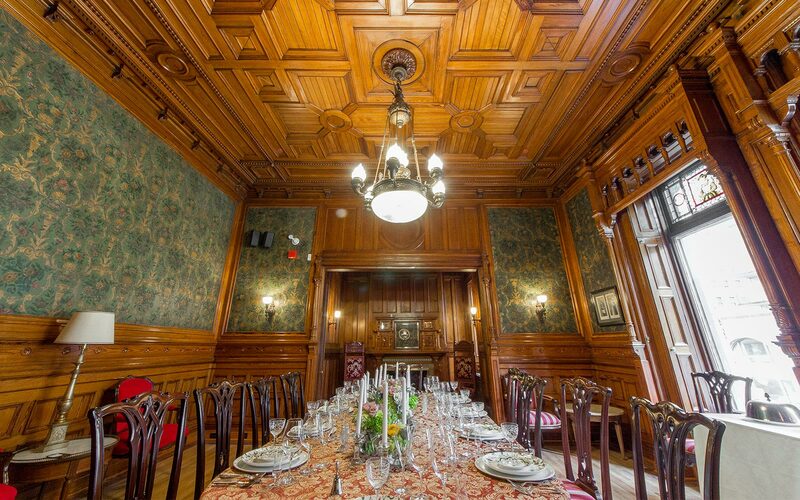 Host small meetings in this first-floor venue that accommodates 12 guests in a U-shape or conference layout, 15 in a reception layout or 16 in a banquet layout. The size of this room is 19.5’ x 12.5’ with 15.5’ ceilings. Mansion, Second Floor | 323 sq. ft. 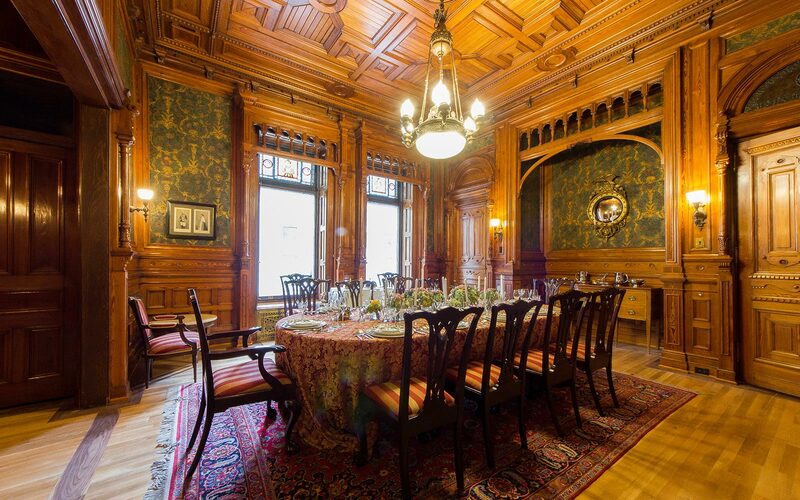 There is a rich history of prestigious meetings in this boardroom. 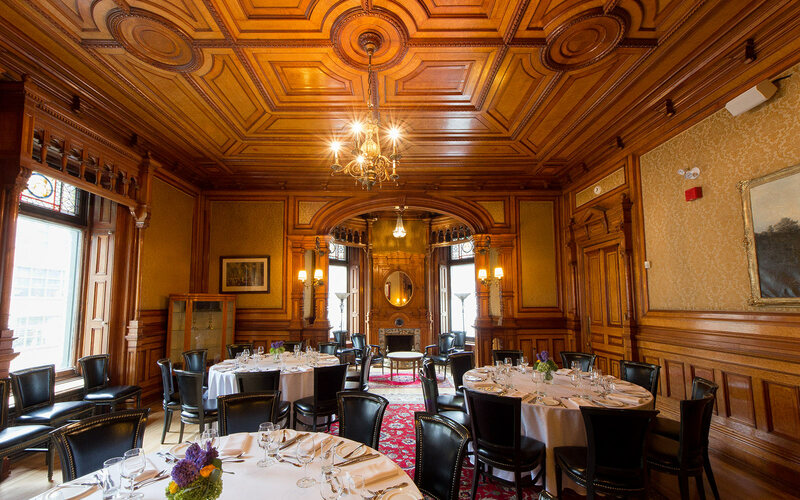 Featuring 14.5’-high ceilings, expertly crafted wood details and a central boardroom table surrounded by comfortable chairs, this is the ideal setting to discuss the year’s successes with your team or host a rehearsal dinner with up to 10 guests. Mansion, Second Floor | 169 sq. ft. 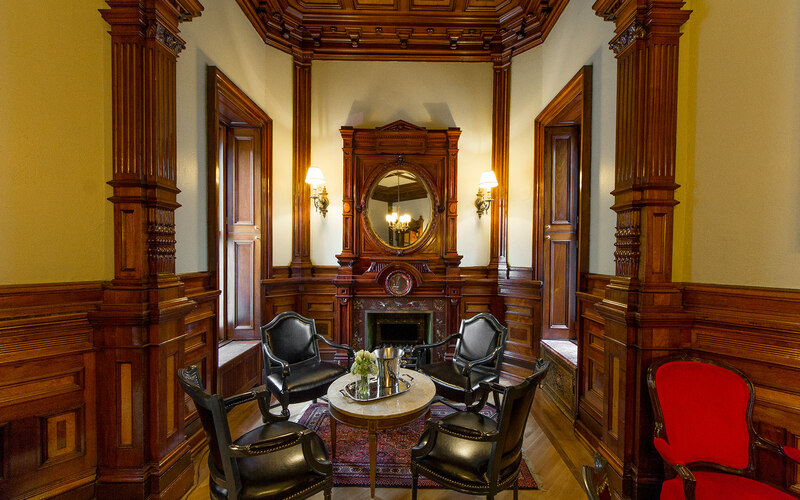 The Laurentien is a cozy space with a fireplace and seating for up to six guests. 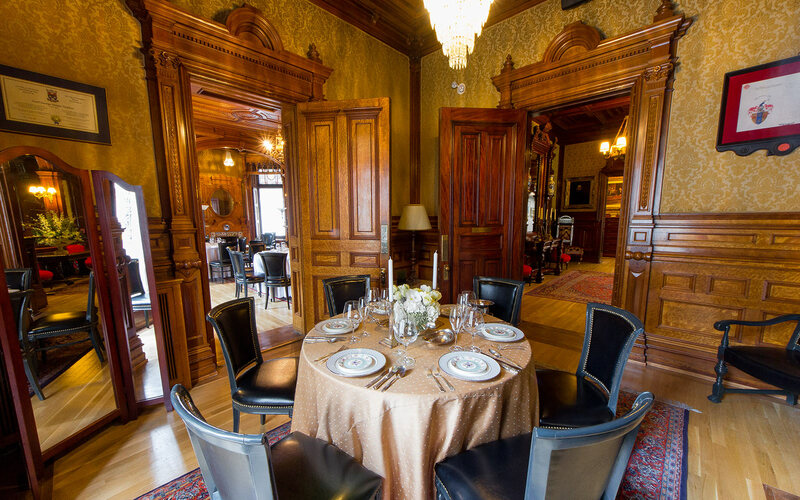 It’s perfect for a private dinner party. The size of this room is 13’ x 13’ with 14.5’ ceilings. Mansion, Second Floor | 495 sq. ft. 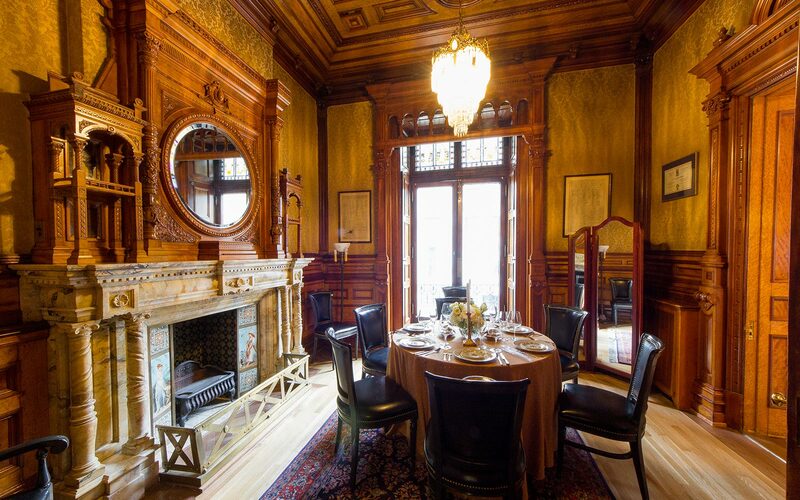 Mansion, Second Floor | 450 sq. ft.
Hotel | 4,725 sq. ft. 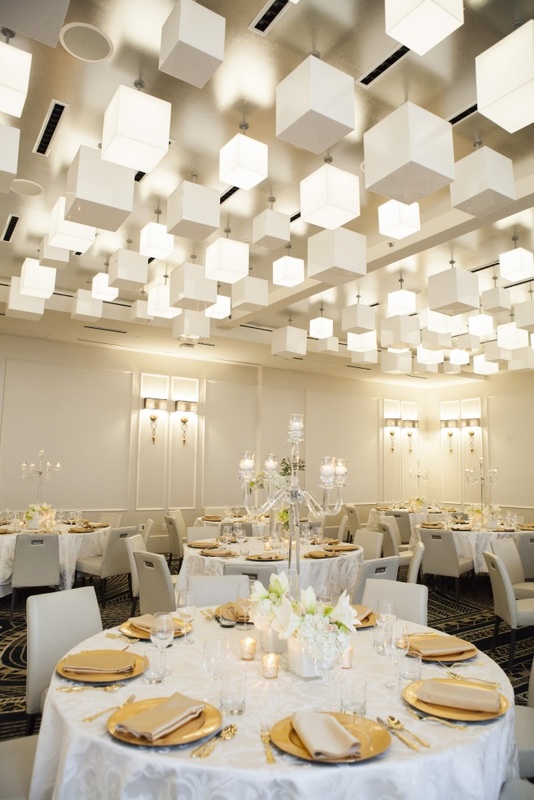 Located just off the stunning main hotel lobby, our expansive Elizabeth Ballroom boasts 15.5’ ceilings, modern lighting and state-of-the-art audiovisual equipment. 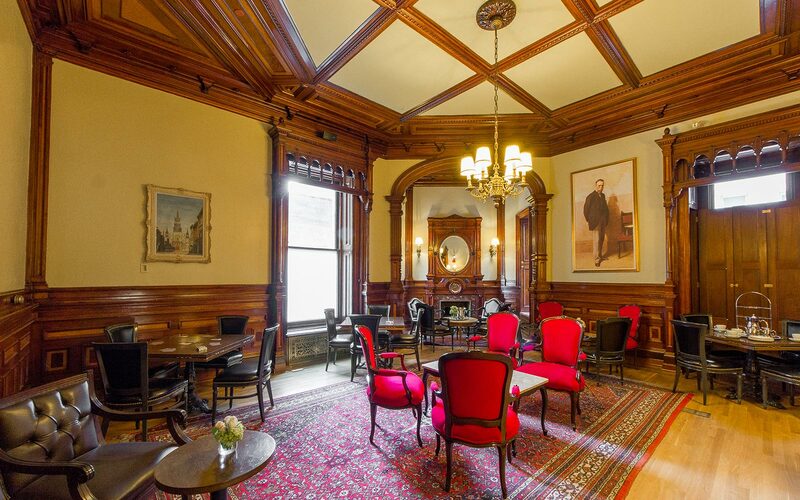 This space is the perfect setting for meetings or social events with up to 395 guests. Size specifications are 105’ x 45’. Hotel | 1,125 sq. ft. The Elizabeth Ballroom can be arranged in smaller setups for breakout events such as corporate training sessions or bridal showers. Choose Ballroom A with 1,125 square feet of space in a 25’ x 45’ room. Hotel | 3,600 sq. ft. 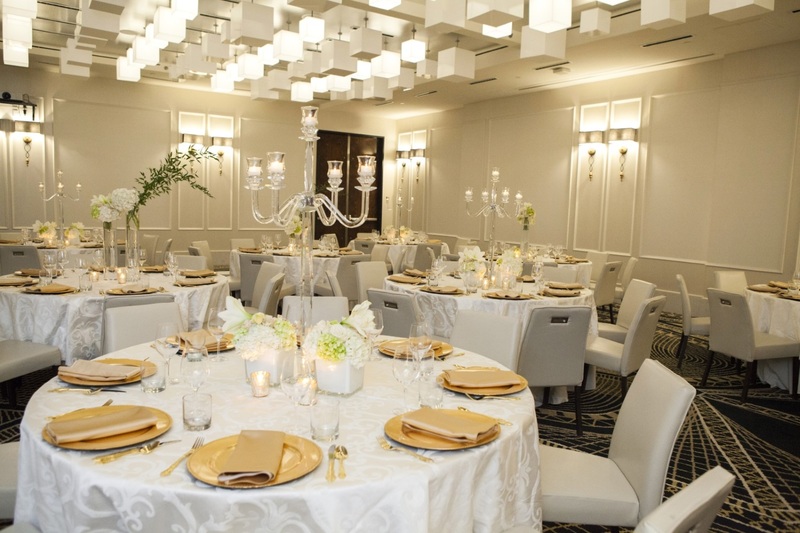 Choose Ballroom B for a larger celebration. This section of the Elizabeth Ballroom is 80’ x 45’ and offers 3,600 square feet of space. Celebrate something special with the city of Montreal as your backdrop. We offer two outdoor terraces for you to choose from: the front terrace can host 100 guests in a reception-style layout while the second-floor terrace hosts 150 guests in a reception-style layout. Event tents are available.